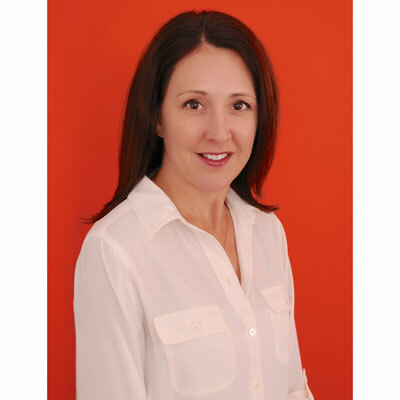 Karen Chastain, a proven leader in alliance management among the largest technology partners, is the Director of Strategic Alliances and Partners at Episerver. With over 15 years of experience in partner relationship management, building channels, strategic business planning and marketing, Karen consistently delivers results within global and cross-functional programs by building mutually beneficial relationships with partners. Karen's deep, long-standing relationship with Microsoft for over 15 years has qualified her as an expert in engaging with the company, enabling her to participate on several boards and marketing programs. Karen is also an advocate of women in technology. She regularly contributes to articles on the topic, is an active member in the International Association of Microsoft Channel Partners (IAMCP) and their Women in Technology (WIT) communities and participates on the leadership team for Microsoft Inspire. Karen has been recognized as one of CRN's Women of the Channel for two consecutive years in 2016 and 2017. Over the past year, I have focused on two areas to advance the channel business. One is in partner enablement, where we have added resources, including sales and marketing, to our channel partners. For example, we created a "Lighthouse Partner Program" that provides key partners training and sales enablement to quickly adopt and sell new Episerver products recently announced to the market. Another area is the introduction of a Microsoft Dynamics Go-to-Market campaign that allows Episerver to broaden our network of channel partners to Dynamics partners. Episerver's seamless integration to Dynamics solutions provides these partners an end-to-end commerce solution for their Dynamics customers. As a result, we have onboarded many large Dynamics partners to add this to their portfolio of capabilities. We want to continue providing our channel partners with a cohesive solution, in the Azure cloud, that delivers a unified digital content, commerce, marketing, and personalization experience to marketers and merchandisers globally. This ensures our partners can provide clients one platform for all their digital marketing needs. Armed with the Episerver solution, we're providing partners with the tools and resources they need to generate their own leads and co-sell with us. Our goal is to increase partner satisfaction and for Episerver to be the go-to partners to help them to grow their business, increase deal size, and ultimately, revenue. Once again, I was honored to be named one of CRN's 2017 Women of the Channel to validate the work that Episerver is doing for the channel community in the digital marketing space. I am passionate about celebrating women in technology, so am proud to contribute to articles highlighting this community, including Digital Ninety-Nines Lead Partner's Commitment to Diversity and Marching Orders 2018: Join a Network for Women in Technology. In addition, I was honored to be a part of the IAMCP Women in Technology (WIT) leadership board for Microsoft Inspire last year and will expand this role in 2018. I admire Michelle Obama for many reasons, particularly for the way she presents herself with grace and confidence. She is a role model for women and children, both in business and at home, challenging important issues like health, diet, work/life balance and national service. As a working mother of a teenage daughter myself, I identify with the challenges and issues she's been vocal about since being in the public spotlight. It's important for women to have more of these ambitious, accomplished women to look up to. I am looking forward to reading her memoir "Becoming" coming out this year. At 16, you shouldn't grow up too fast. You should take an opportunity to enjoy life, enjoy being a kid still, for a little while longer, but also focus on that next chapter. A good education is key. It's important to get an education and go to a college that will help you along your path. At 16, take the time to research and explore different interests and potential careers. Leave nothing on the table! I'd love to be a master presenter - where it looks effortless. You can tell when someone is a master presenter, you want to watch and learn from them - they hold your attention. One of my favorite presenters is Mel Robbins. It's a great skill to have in our industry where you are constantly in web meetings and attending conferences. Second, I'd love to master Excel. It's a powerful tool for helping you track and visualize data. It would be great to know how to leverage more features to better analyze the data and provide insight for my colleagues. The Nightingale by Kristin Hannah I really enjoy reading both fiction and non-fiction books on World War II. The Nightingale by Kristin Hannah is a novel that follows two sisters on different paths during the war. The "Nightingale" is the nickname for the brave sister who takes on a very active role in the war. While the story is not true, some of the actions are taken from real stories from the war. It's amazing to me how brave women can be - even in the face of war.